I’m Joe, and I’d love to help you achieve your health, fitness and weight loss goals! Support is a crucial component of the journey to feel great again. Someone to keep your spirits high, your mind focused and your desire to go further is what I’m going to be. I’m the training partner that will squeeze that last few reps, that extra minute on the track. This will come through various methods, short texts to give you that dose of momentum, emails that cover topics about nutrition and health, phone calls to hear a friendly voice to reassure when things get tough! I love feeling great! I’ve been into exercise and nutrition for years, I was in a slump thinking what to do with my life so I thought, why not turn what I do as a hobby, into a job! The feeling that I would get knowing I made a positive difference in someones life would be life affirming! Whether you want to train outside or in your own home, I bring the gym to you! Combining proven training methods and nutritional coaching, you can achieve the weight loss results you want. Train with me 1 on 1, or bring a friend along for some encouragement or healthy competition. Following on from there I enjoyed rugby and Karate while in secondary school while also doing the bronze and silver Duke of Edinburgh hikes. 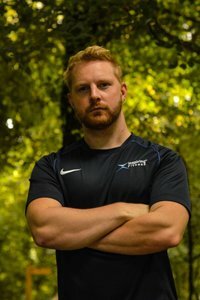 I am a mobile Personal Trainer based in Cornwall. I’m able to cover areas such as Truro, Redruth, Camborne, Penryn and Falmouth. I provide my personal training services at an average of £30 per session.